Kyandwiki Self-Help Group was formed in the year 2015, and now has 33 members: 23 females and 10 males. 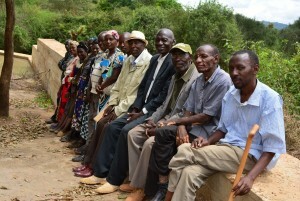 The average size of the families in this group is six members, 158 members total. The main economic activity of the community is farming, with 63% of respondents saying they depend entirely on farming as their livelihood. 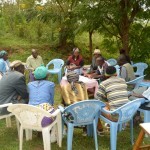 To supplement farming, 19% of the respondents mention that they engage in causal labor on the side. 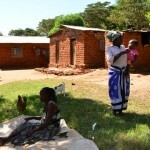 In this case, casual labor could be digging terraces, fetching water to sell, herding livestock, and other activities. 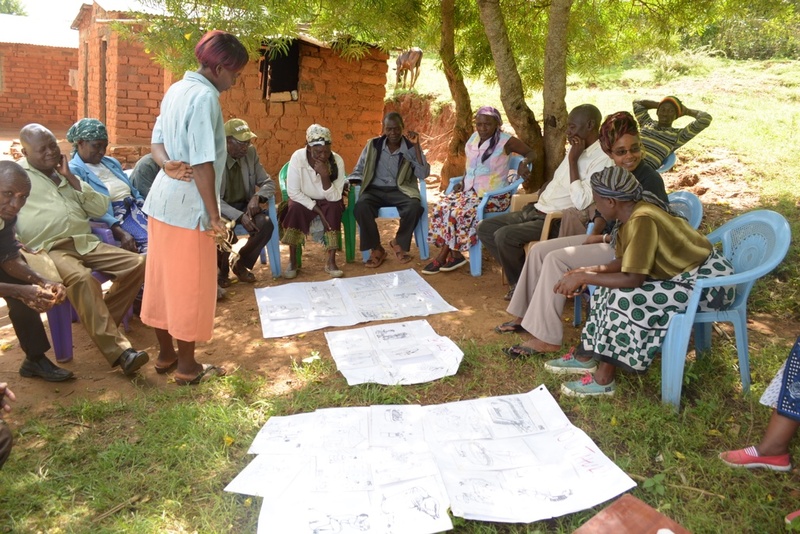 After visiting several projects implemented in nearby communities, the Kyandwiki Self-Help Group grew an interest in strengthening and protecting their existing water sources. 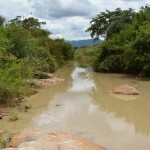 The group is particularly worried about the degradation of their river, which affects its water flow and water levels. 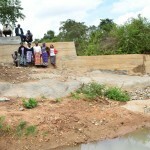 The solution is to construct a sand dam that will restore the degraded river bed. 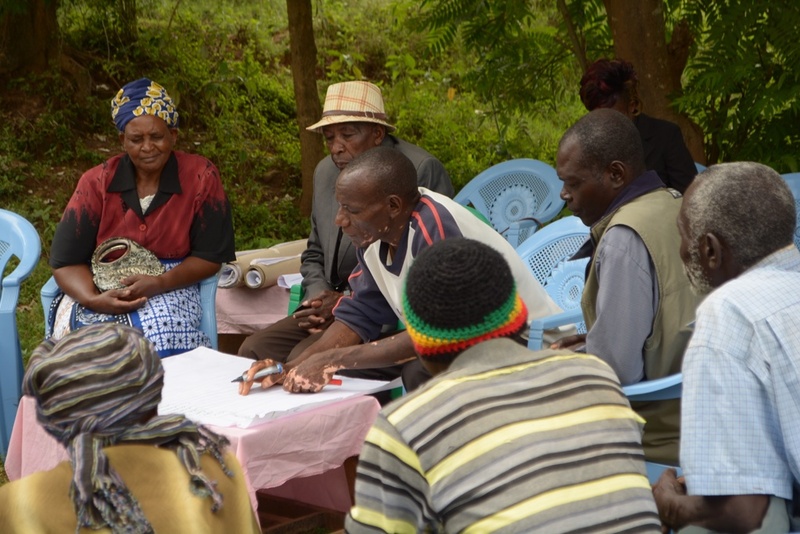 The community got in touch with ASDF, who advised the group to register and prepare a project plan that they wish to implement during a five-year partnership. 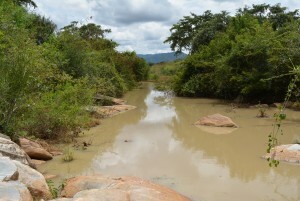 The main sources of water in this area are a natural spring and a seasonal river whereat the members dig scoop holes. 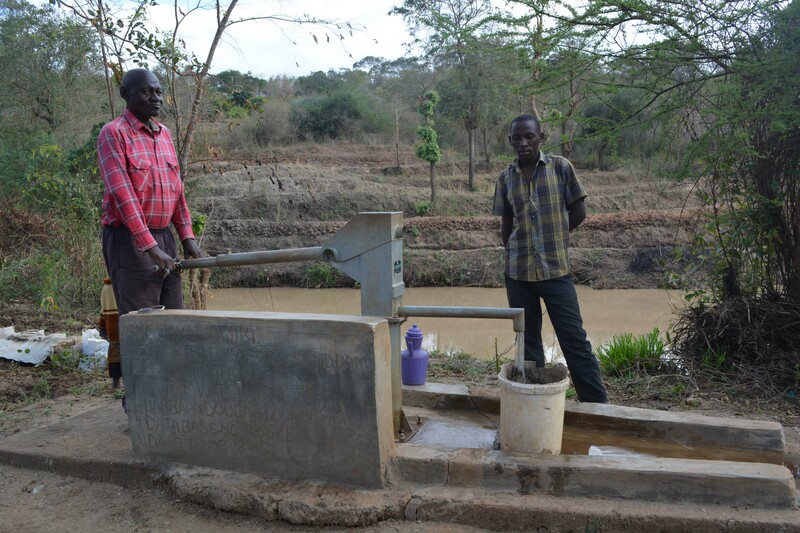 63% of respondents fetch water from the natural spring, while the other 37% fetch water from the river’s scoop holes. 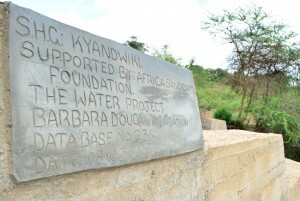 On average it takes one or two hours to travel to one of these water points. 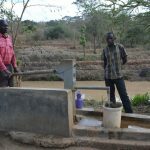 The limitations of having no other water sources nearby has created business opportunities for the youth, who fetch water from the spring and carry it to the nearby town to sell. 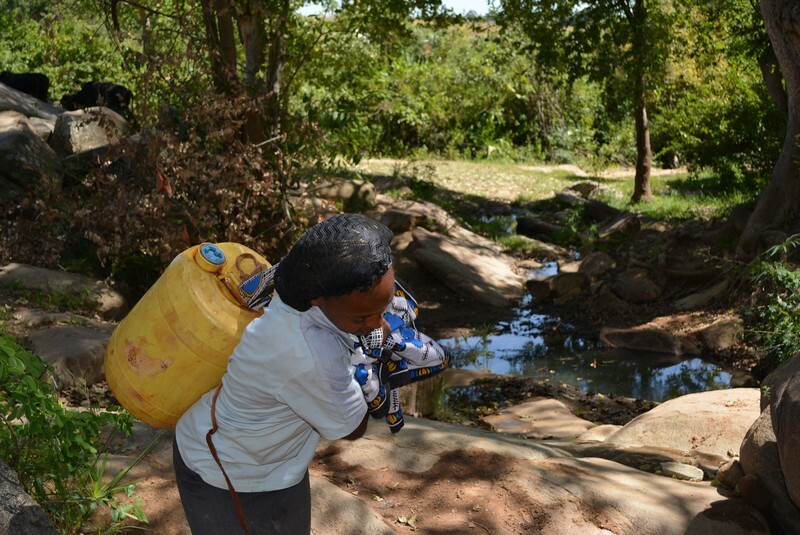 Those who do not have the ability to travel to the spring or river buy this water, which costs between ksh 10-30 per 20-liter jerrycan. For those community members who cannot afford water fees, there are long lines at the water points very early in the morning, often before 5am. 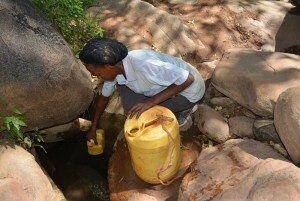 People get water form the spring by directly scooping it up with small containers. When at the river, they get water by scooping it from freshly-dug scoop holes in the sand. 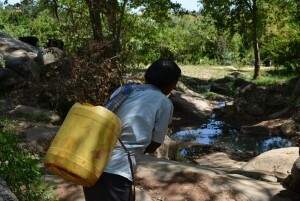 There are times when the spring runs dry from too many people fetching water. 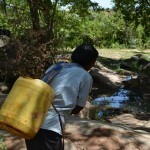 When this happens, locals sometimes have to wait for hours before enough water is available for fetching. The low recharge rate of the spring has been caused by overuse and lots of human activity, which have degraded the catchment point over time. The common way to transport water is by strapping containers to the back of a donkey or placing it in carts. 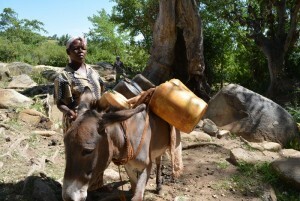 A donkey can carry four or five full 20-liter jerrycans per trip. 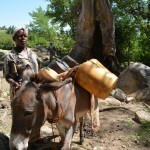 An ox can pull about 400 liters of water in a cart. 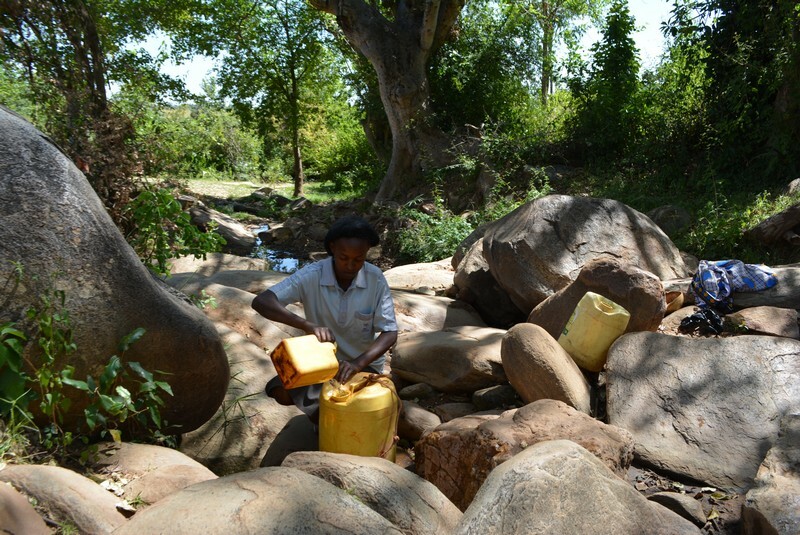 Most households have at least one beast of burden because fetching water has been a challenge for as long as community members can remember. To avoid numerous daily trips to the water points, each household has a specific day set aside just for fetching water. Most families prefer fetching water during the weekends when the children are around to help. This makes the weekends a particularly busy time at the spring and river, where there will be long queues and reduced water quantities available. 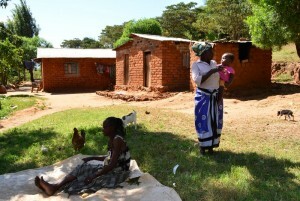 Besides the weekends, some families have to make trips on Wednesday and Friday. 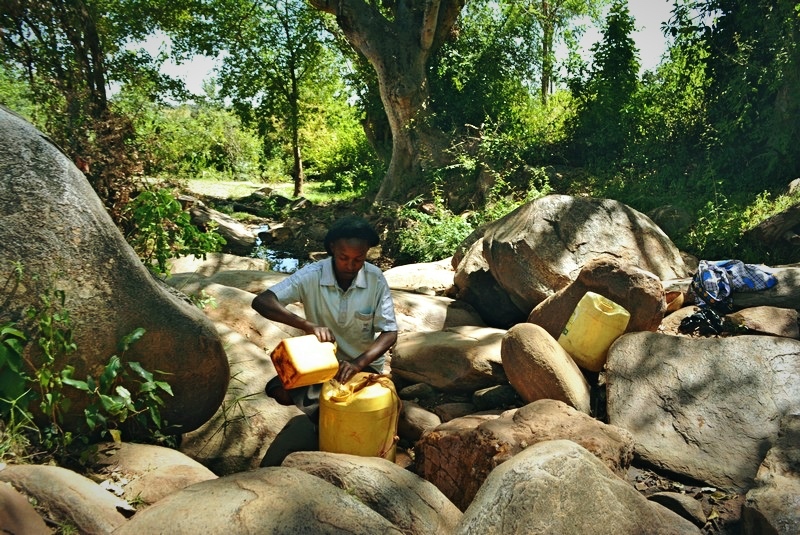 On any water-fetching day, more than three trips are made to and from the water point. 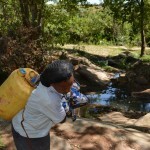 When it arrives home, the water is poured in larger reservoirs that will be rationed throughout the week. And of course this rationed water is for family members first and livestock last. 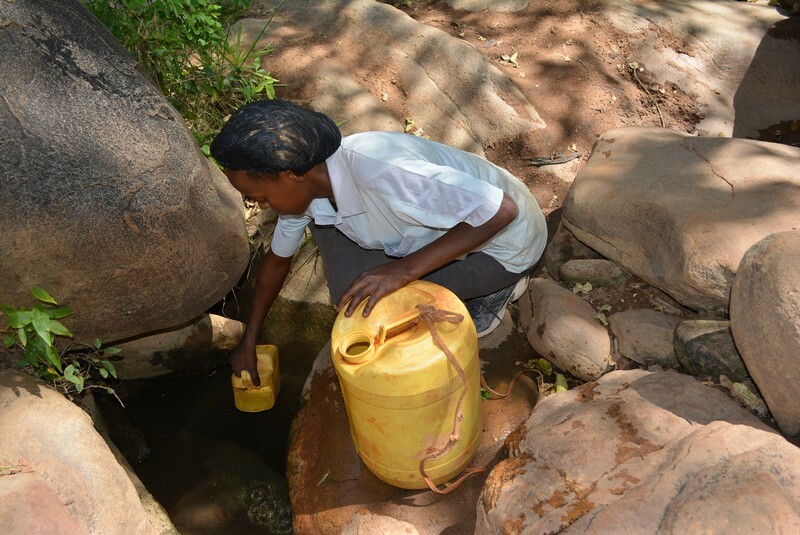 This water challenge greatly affects the livelihood of farmers who of course opt to sacrifice the health of livestock for their families. 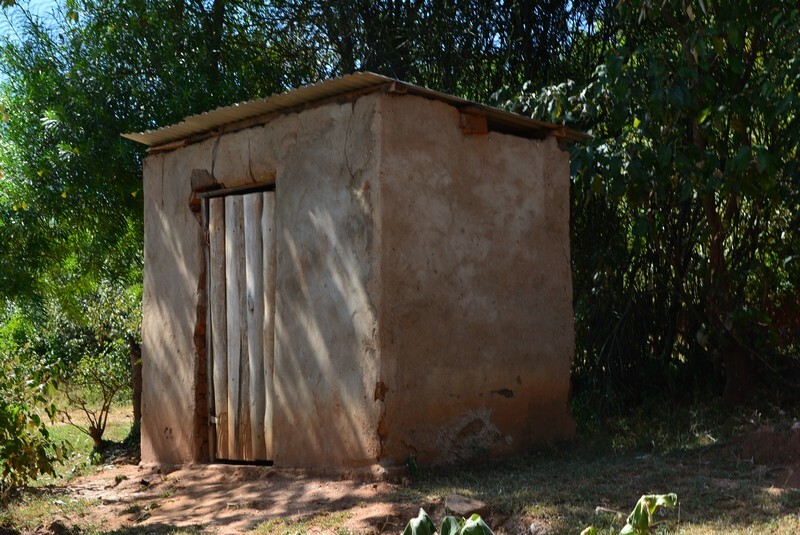 100% of households have a pit latrine, most of which are well-constructed and roofed. 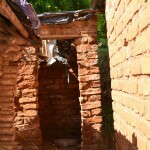 They are frequently cleaned, but the pits are left uncovered. 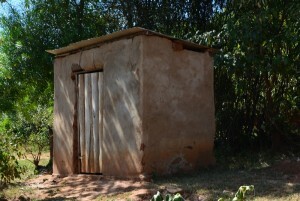 Since every household has a latrine, open defecation is not observed as an issue in this area. 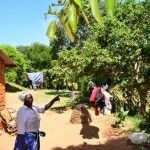 About 75% of households have tools like dish racks and clotheslines. 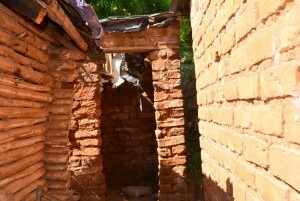 Most garbage is disposed of in a compost pit located in the furthest outside corner of the home compound. 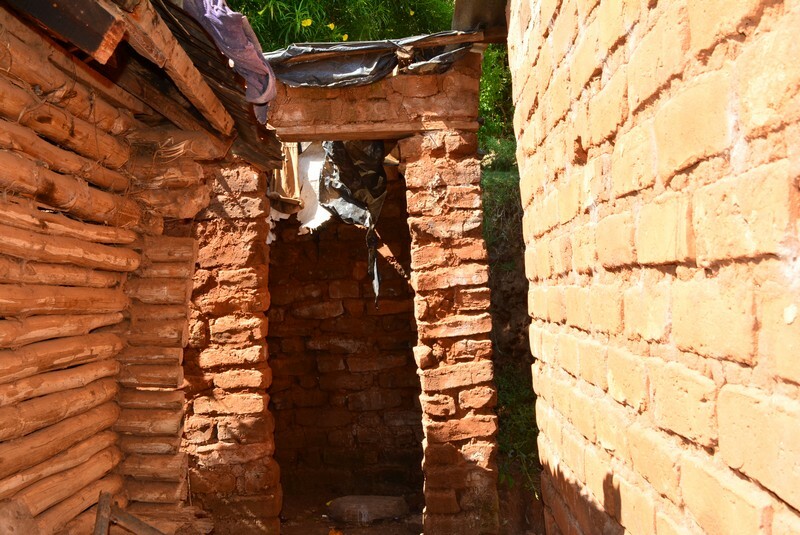 When full, the contents of these pits are burnt to create more room. 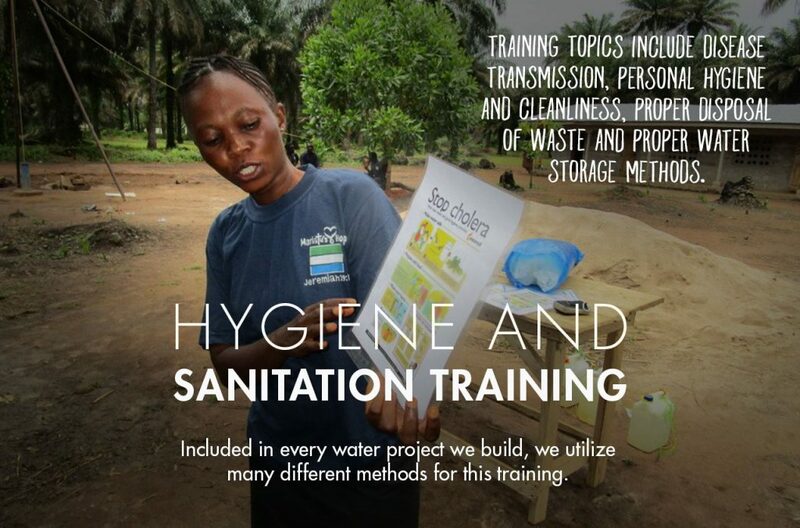 Because most of the group members received a formal education, they understand the implications and consequences of poor hygiene. 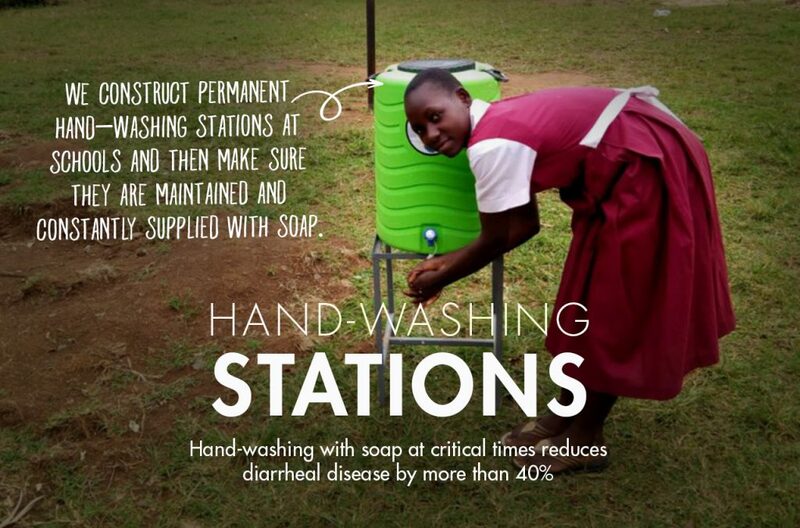 Hygiene is perceived as a symbol of class and well-being. 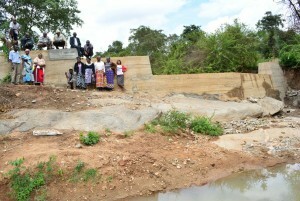 The group’s first project is a sand dam at the river. 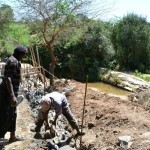 They will provide all necessary construction materials such as stone and sand, as well as a few volunteer laborers. 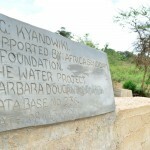 The sand dam is projected to be about 57 meters long and four meters high. 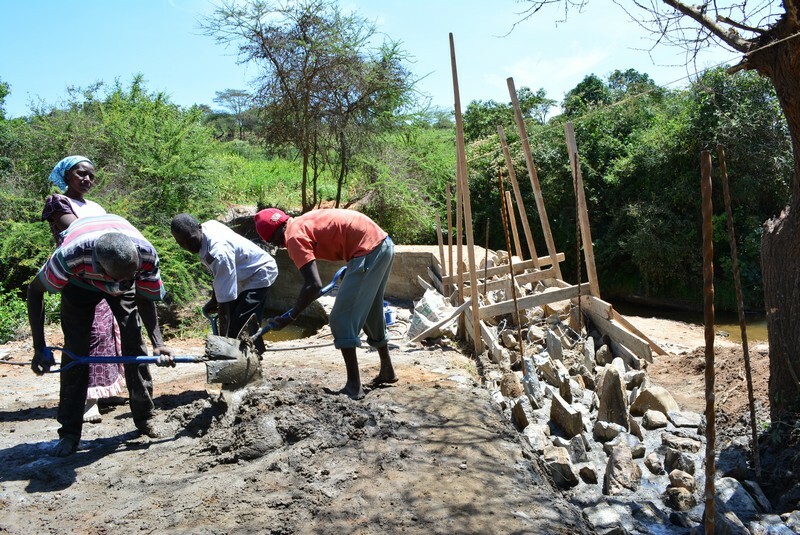 As the sand dam matures, the water table will rise and provide both better water levels and quality. 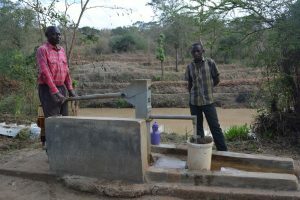 A shallow well built alongside the sand dam will give community members a safe way to access this naturally filtered water (see the shallow well project here!). 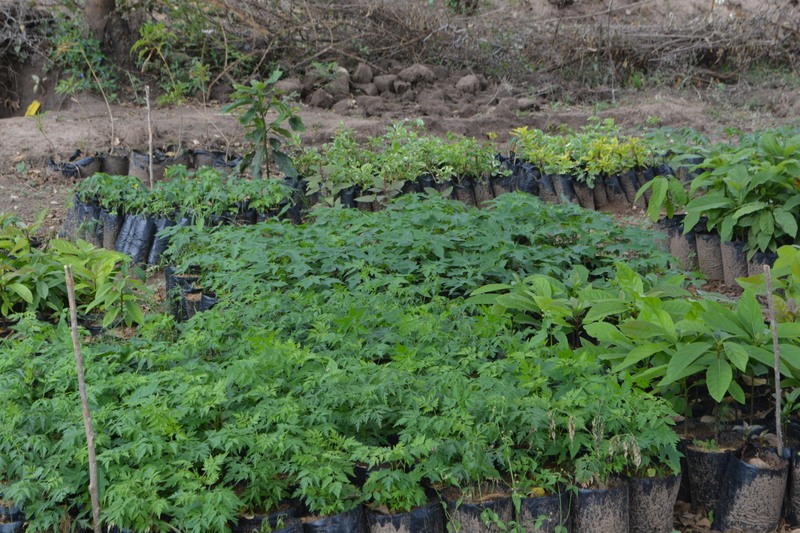 The community will also be learning about environmental conservation by planting trees to restore degraded land. 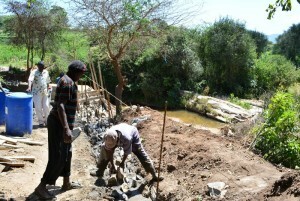 This sand dam will be pivotal for establishing these tree nurseries. Construction for the sand dam began on February 3rd and lasted for one month. 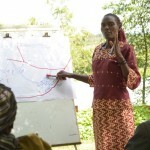 During this period, different activities occurred that brought their own various challenges and lessons. 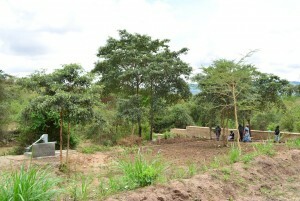 The collection of materials was the first activity, which were hauled to the project site. 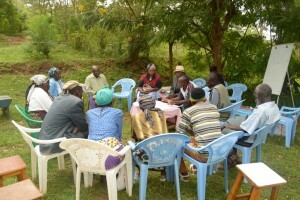 A leader of the self-help group ensured that there was good participation and contributions from each member. For the Kyandwiki Self-Help Group, there was a 90% attendance rate with each participant motivated to work. The trenching of the rock basement took one week. 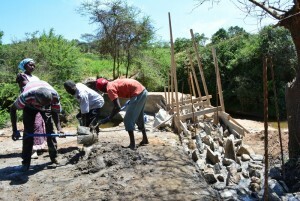 Since trenching is such intensive manual labor, only the male group members took part in this activity. 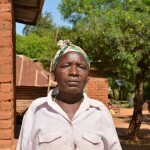 The women were allowed to do lighter duties such as collecting sand. 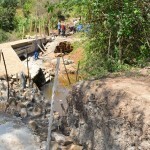 Construction lasted for one month and the daily attendance for work was 80-90%. 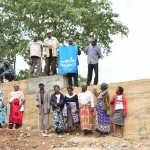 The group was organized and worked well together with minimal supervision to reach their goal. 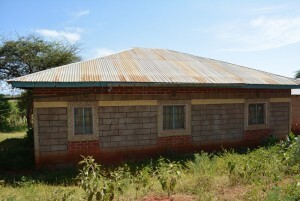 The community also provided constant security for materials and tools. 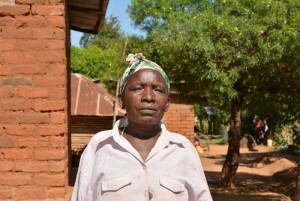 They wrote up records to keep track of the materials gathered so none would go missing. 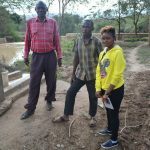 The main challenge was a lack of sand in the area The group members made individual contributions to raise funds in order to buy the required sand. 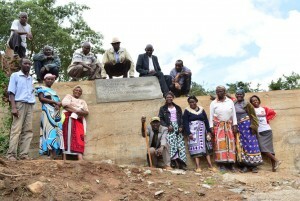 Some of the members withheld funds until the last minute, delaying project construction. The committee arranged a fair price with the local sand vendor who transported the proper amount to the project location. 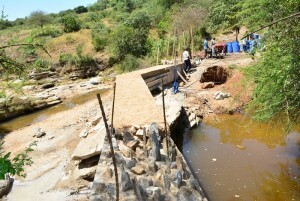 The finished dam is 3.8 meters high and 40.8 meters long. 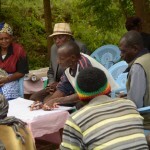 The community has drafted a set of rules which they have shared with the local leadership. 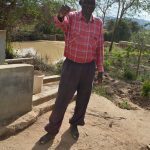 These rules are meant to protect the sand dam and surrounding hand-dug wells and the resources in that area (water and sand). 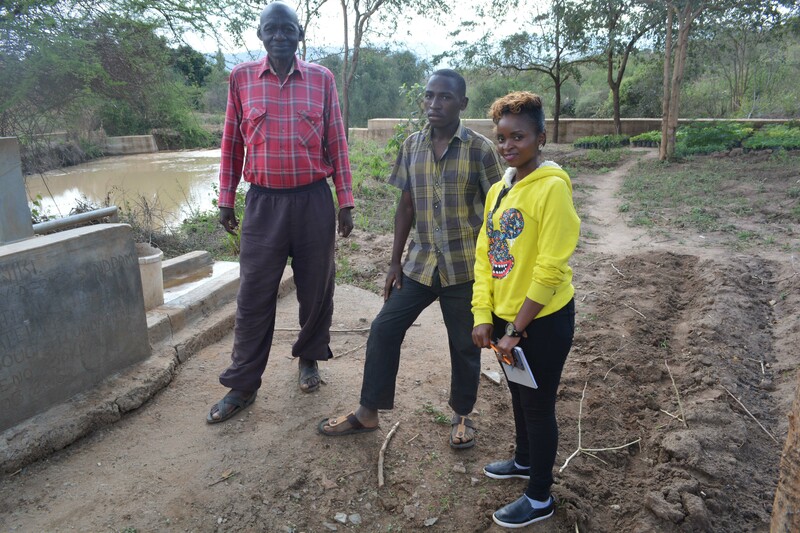 They have also registered the sand dam with the Water Resource Management Authority. 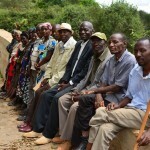 If there are any conflicts, the government is now prepared to intervene on the community’s behalf. 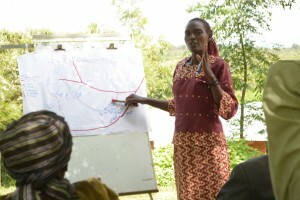 The community training was held at a group member’s homestead, close to the sand dam. 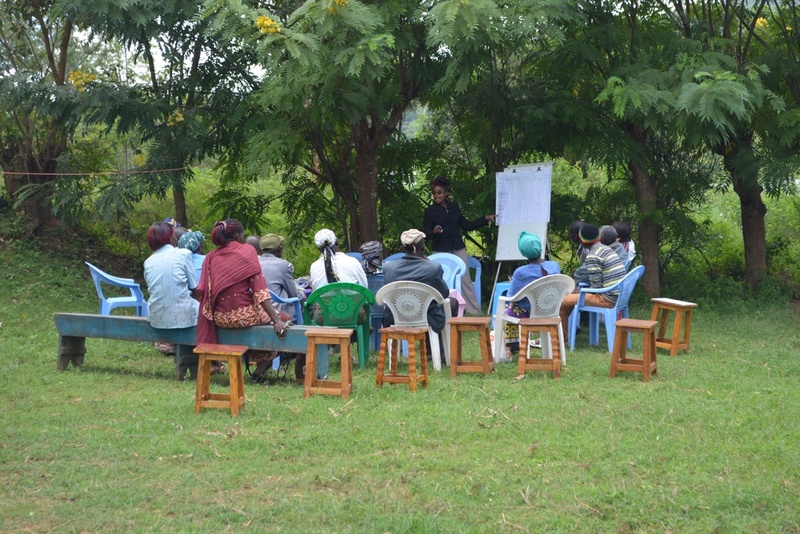 This meeting point was chosen because training was scheduled during the rainy season, and members wanted to have a roof over their heads to keep them dry. 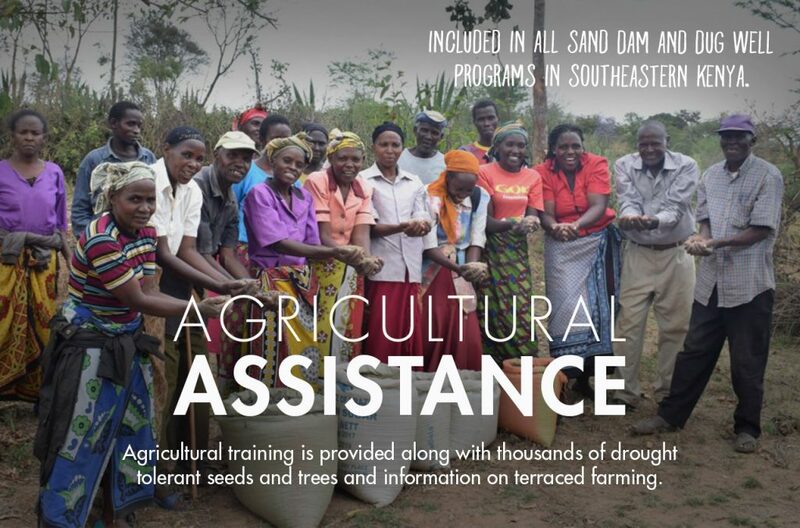 Training was initially scheduled to take place in April, immediately after the sand dam was constructed. 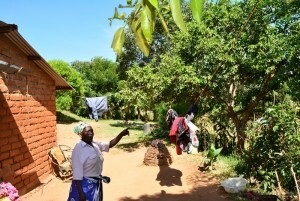 But since the long rainy season starts in April, it was necessary to give the community time off to concentrate on farming. 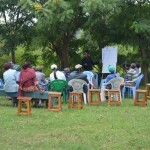 In May, the members would be less busy and able to take part in training. 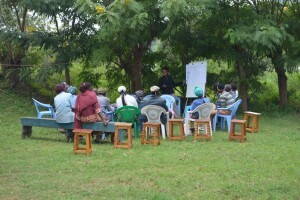 Because of the flexible schedule, the training was attended by all group members. 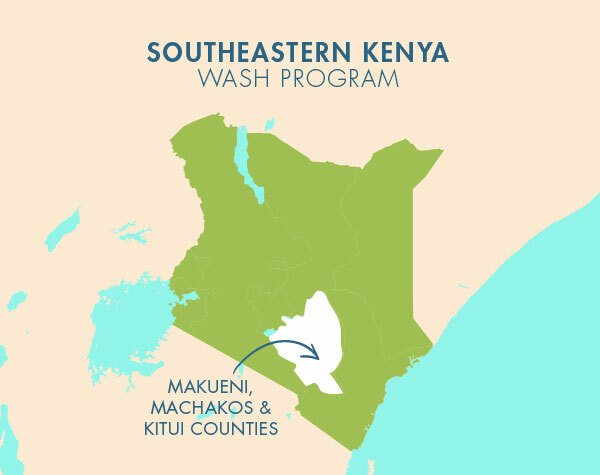 So not only have community members learned how to construct helpful tools like dish racks and clotheslines, but they have also learned how to make a tippy-tap (a hand-washing station made of all easy-to-acquire local materials). 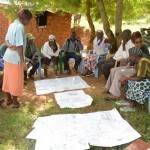 Thank You for unlocking potential for Kyandwiki Self-Help Group and their community. 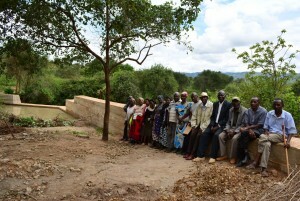 A year ago, generous donors helped build a sand dam for the Kyandwiki Self-Help Group in Kenya. 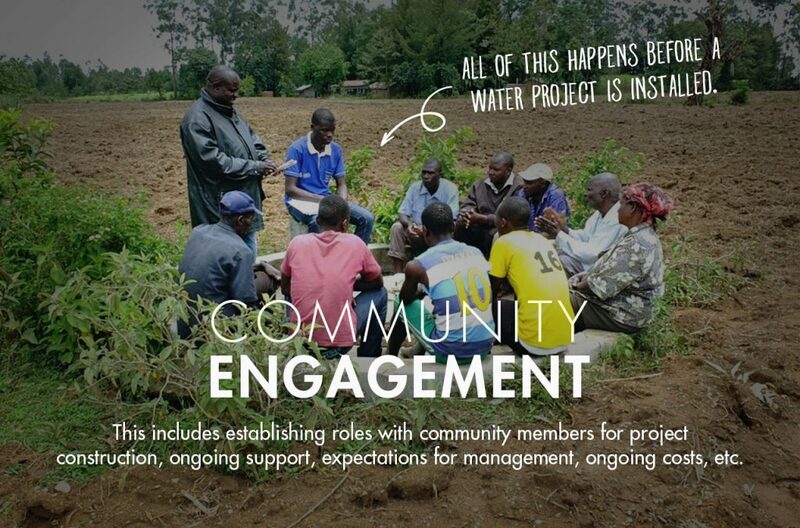 Because of these gifts and our monthly donors, partners are able to visit project sites throughout the year, strengthening relationships with communities and evaluating the actual water project. 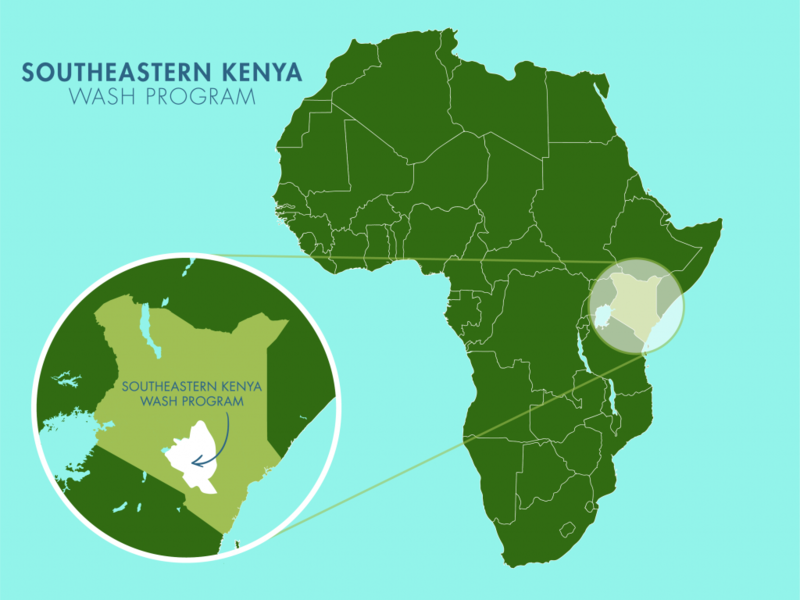 These consistent visits allow us to learn vital lessons and hear amazing stories – we’re excited to share this one from our partners Muthei Mutune and Titus Mbithi with you. 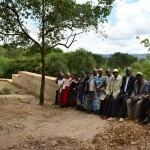 We are excited to share with you that the sand dam for the Kyandwiki Self-Help Group is now complete. 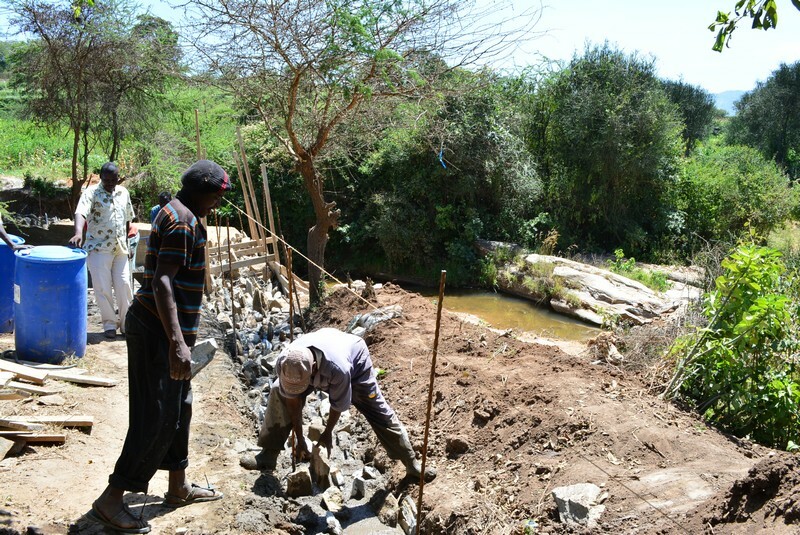 This dam will mature over time, soaking up water into the riverbed that will be accessed by a hand-dug well. 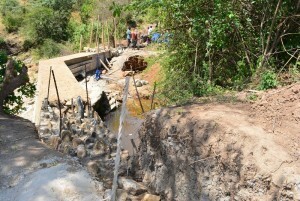 The dam will protect the collected water and ensure there is always an adequate supply for farmers and their families. 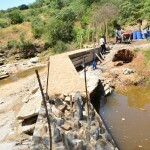 Please take some time to enjoy the updated report and pictures. 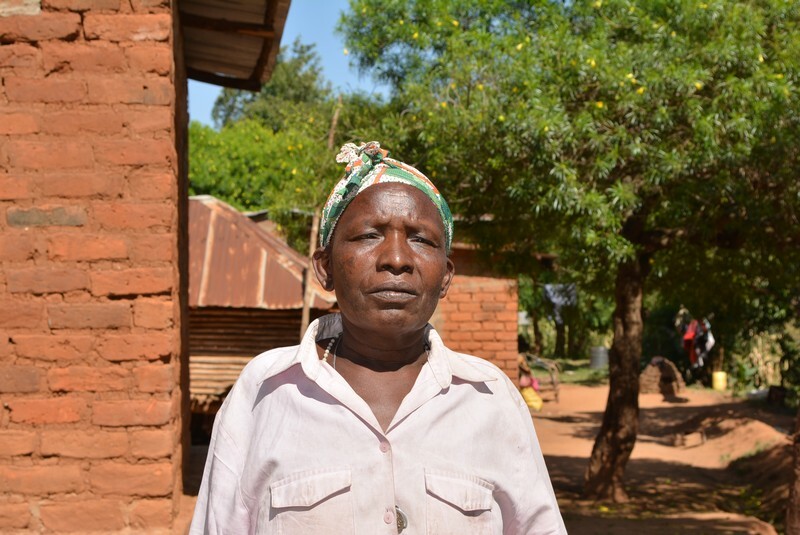 None of this good work would have been possible without your generosity! The Water Project, Kyandwiki Self-Help Group and their community Thank You for unlocking potential! 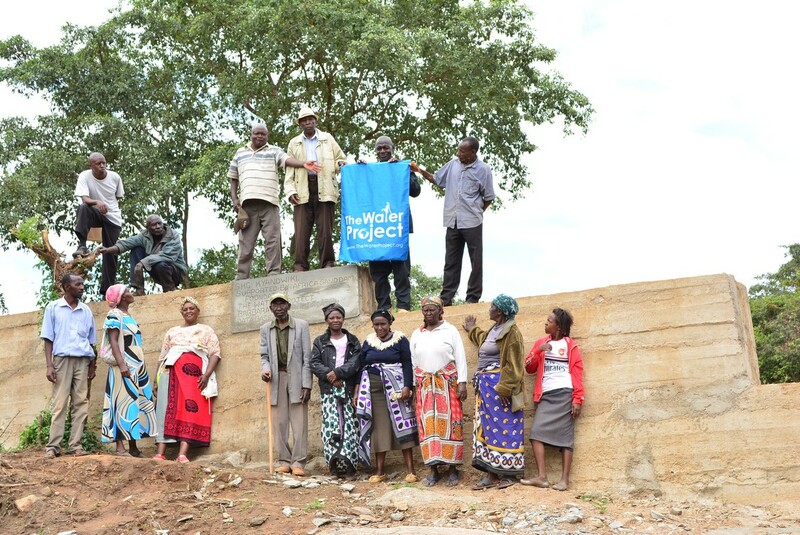 We are happy to announce that the Kyandwiki Self-Help Group and their community in Kenya will soon be transformed by the construction of a sand dam. The dam will help raise the water table in the area, providing clean water and helping with agriculture. 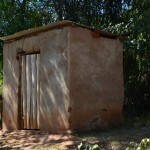 The community will also receive training in sanitation and hygiene, helping to stop the spread of disease in the area. We just posted an initial report including information about the community, GPS coordinates, and pictures. 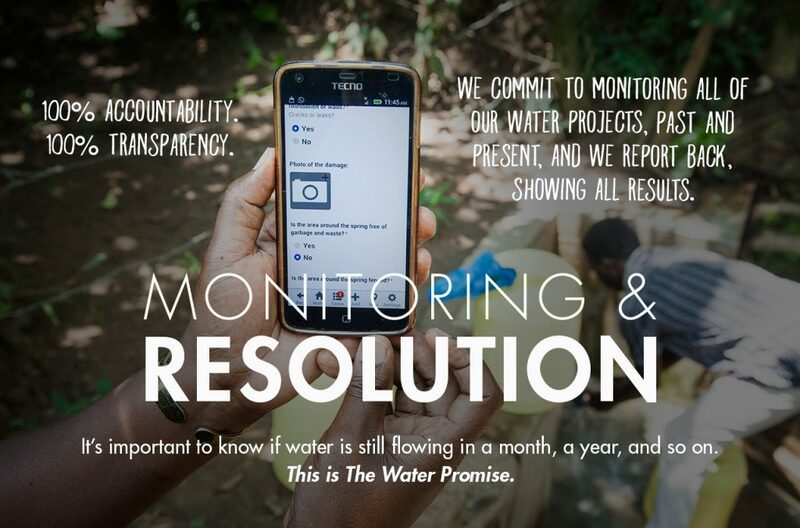 We’ll keep you posted as the work continues. 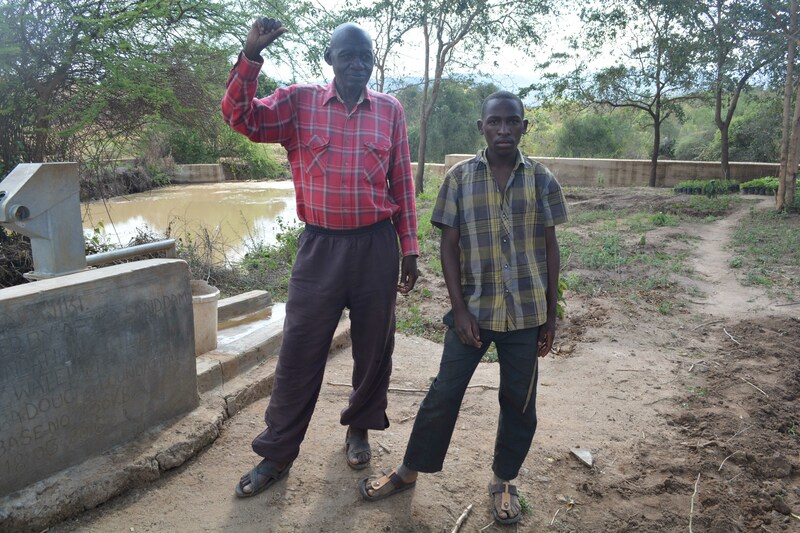 "I have learnt how hand-washing is important to avoiding diseases. I have learnt how to introduce hand-washing to all members of community through construction of the tippy-tap!" 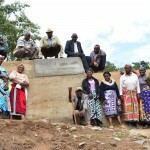 Mr. Pius Nzoila Kitwa is one of the group members who worked hard to see this project’s success. He met us at the water point to talk about the change that’s happened over the past year. 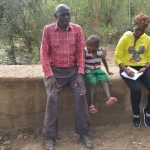 “Our children have improved their performance levels because they use time initially wasted going to fetch water on reading and doing their homework. 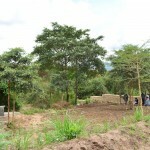 The water has boosted tree planting since the survival rate has increased compared to before. 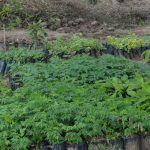 As you can see, our tree nursery is doing well and we are planning to transplant them to our farms,” he shared. Field Officer Muthei Mutune interviews Mr. Pius Nzoila Kitwa about what’s happened in the past year. 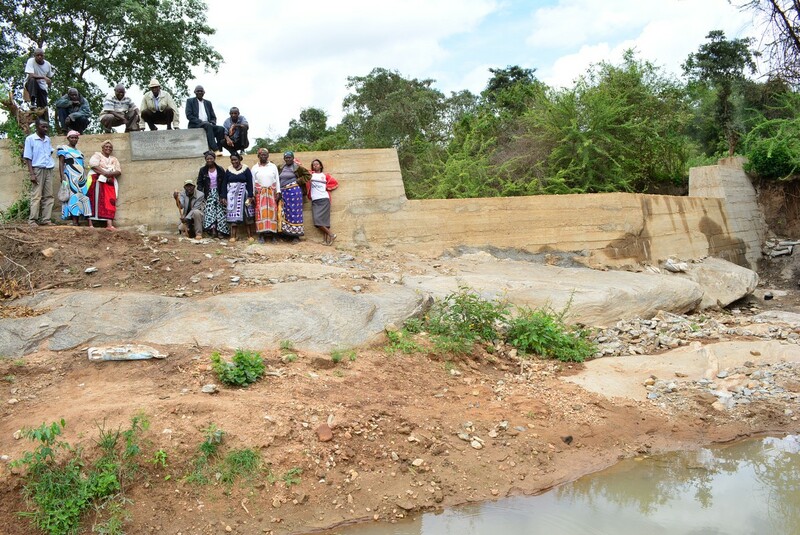 And thanks to the surplus of water this sand dam provides, the adjacent well is able to pump clean, safe water from the catchment area. Pius Nzoila Kitwa pumping water supplied by the sand dam. 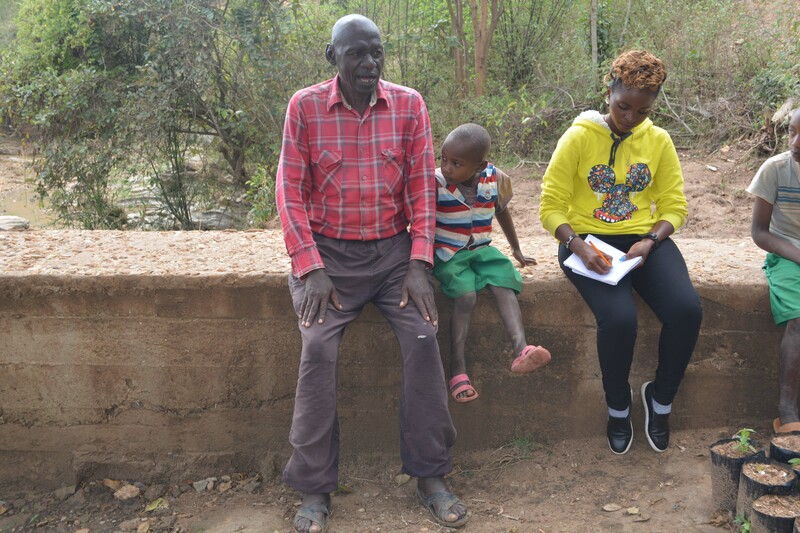 16-year-old Francis Miunde was also there. 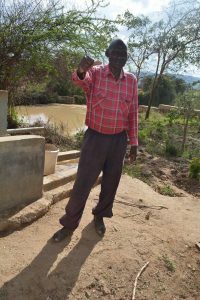 “Distance [to water] has decreased from three kilometers to less than a kilometer, which is a very good thing to me because I have time to study. 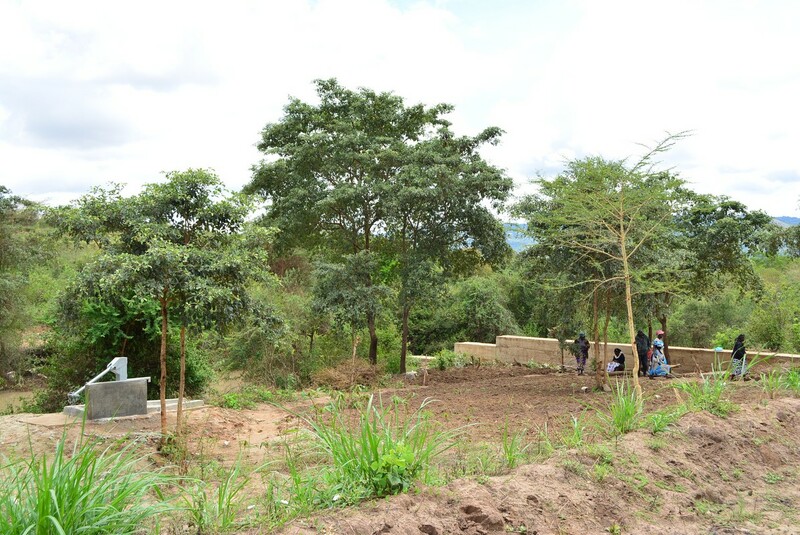 The project has supported my tree nursery, where I planted 80 trees. 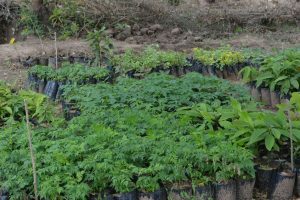 Though 30 dried, I now have 50 which I am planning to transplant and sell the remainder [for firewood]. I want to continue utilizing the project even after school to get more income and help my parents take my siblings to better schools. 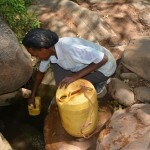 My personal hygiene has improved because water is available. 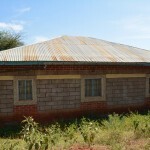 This has happened to nearly all the students in the area, and they are now comfortable unlike before when some could be sent home because of being dirty. They are now comfortable and their performance has improved. 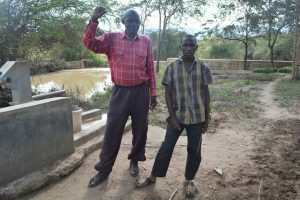 Once in a while I come fishing at this dam and in not so long ago, I caught a big mudfish which I sold at 350 shillings. Most of the fish we catch are consumed at our homes. 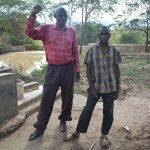 This has improved our nutrition,” he said. 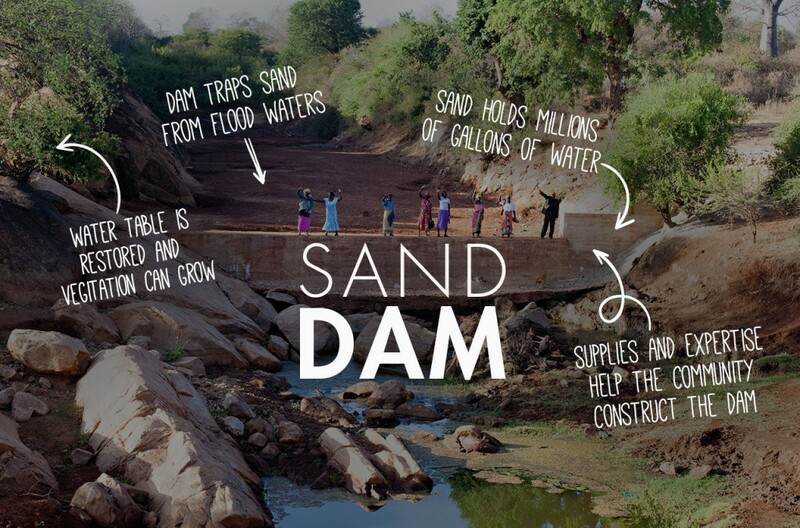 All of this green is made possible because of the water this sand dam provides! This group has really benefitted from this sand dam, especially when it comes to water for their livestock. 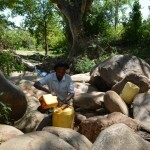 Before, they couldn’t get enough water to keep their animals alive throughout the dry season. If trained even more on water utilization, the group has the potential to continue increasing their income and improving their lifestyles. 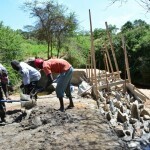 Some of the members have even made bricks with this water to not only improve their own homes, but to sell in the market.